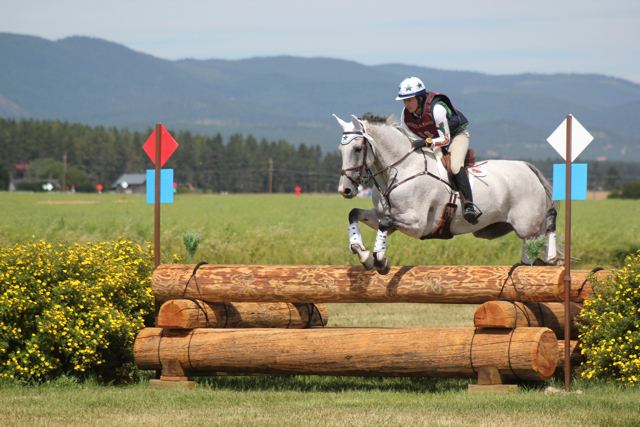 Kristi Nunnik and R Star won the CIC 3* at Rebecca Farm for the second year in a row. Photo by Samantha Clark. Good morning, EN. Please excuse any typing errors I might have today, I’m writing this with what I expect is a broken pinky, result of quite a dirty little stop by my guy in the warm up of our CT today. Every time I hit the Return button with my pinky I curse me and my horse. I hope you all enjoyed the coverage from Rebecca Farm this weekend, Samantha did an absolutely stellar job in covering the various happenings at that beautiful venue. One of my favorites was definitely getting to see Ian Stark ride Gin N’ Juice, what an absolute treat for Ian and Hawley.